With OneDesk’s customer portal, you can start discussions with customers to elaborate on the feedback, ideas and questions they submit. How much access customers have to viewing the feedback and discussions on your customer portal is up to you. 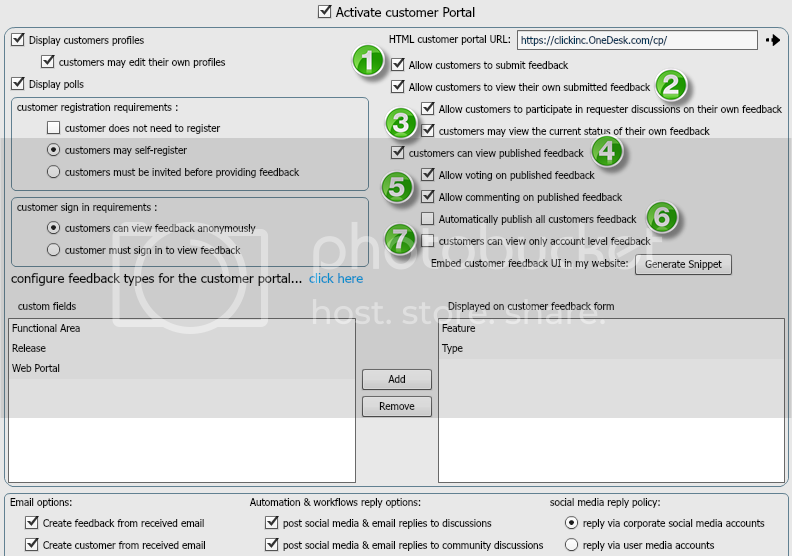 Limiting customer discussions in OneDesk’s customer portal is easy. Choose to make all customer feedback public, visible to only some customers, or not visible at all in a few clicks. In the menu at the left, select customer feedback preferences. 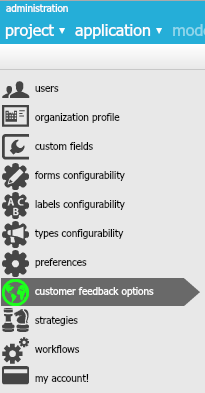 Here, you can choose what your customers have access to by placing check marks in the appropriate boxes. First, choose whether your customers can submit feedback (1). Next, choose whether customers can view the feedback they submit, as well participate in discussions surrounding them (2). Check this box if you wish to keep customers updated on the status of the feedback they submit (3). If you check this box, all feedback that customers submit will be made public,so all your customers will be able to view them. You can then choose whether customers can vote and comment on feedback (5). Choose whether any feedback submitted will automatically be published (6). If left unchecked, you will need to manually approve each feedback submitted in your OneDesk account. If you select this option, customers will be able to view all feedback submitted by customers in the same account as they are – only feedback submitted by those in their company.